Sonya Thomas, former Board Member, preparing food at out Community Meal. According to the 2017 Alameda County Homeless Point-in-Time Count, there are an estimated 5,629 people experiencing homeless across the county, with the City of Berkeley home to approximately 972 of them. More than two-thirds of these are living on the streets or in places not meant for human habitation. BFHP’s mission is to ease and end the crisis of homelessness. We do this by working with men and women on a one-on-one basis, to meet their immediate, basic needs; to address the underlying causes of their homelessness; and to develop viable and sustainable solutions that will enable them to achieve stability, wellness and safe, permanent housing. BFHP serves approximately 2,000 people a year. 64 – BFHP has two shelters, one for men and the other for women. Each has 32 beds. Unfortunately, due to limited space we must turn away individuals when all the shelter beds are filled. For those who want to be housed, BFHP is very successful. In 2017, BFHP placed 228 individuals into permanent housing. All our housing programs are evidence-based. We can show statistics on the number of people housed, the increase of income and the accessibility to health-care services. Our success is ultimately measured by the number of clients who are able to secure and maintain permanent housing, thereby breaking their cycle of homelessness. There is an affordable housing crisis across the Bay Area, which makes it very difficult for our clients to secure and retain safe, permanent housing. For low-income seniors and people with disabilities in Alameda County who rely on SSI/SSP grants as a basic source of income, even the Fair Market Rent (and the average rent in Berkeley far exceeds this) for a studio apartment exceeds the maximum SSI/SSP grant for an individual by 55%. For low-income families eligible for CalWorks grants, their grants are not enough to cover even half the rent of a one-bedroom apartment. Another significant challenge is securing private funding to keep pace with the agency’s rate of growth. Over the years our work has expanded both programatically and geographically – we now cover five counties and our portfolio includes programming specifically designed for the chronically homeless, persons with serious mental illness, and veterans. BFHP’s work is supported by a combination of funding streams. Approximately 89% of our revenue comes from government agencies, 9% from a combination of individual giving, private foundations and corporate charitable contributions, and 2% from program fees. For more information, visit out Finance page. Make a financial donation online now, or make a check payable to “Berkeley Food & Housing Project” and mail it to BFHP at 1901 Fairview St, Berkeley, CA 94703. 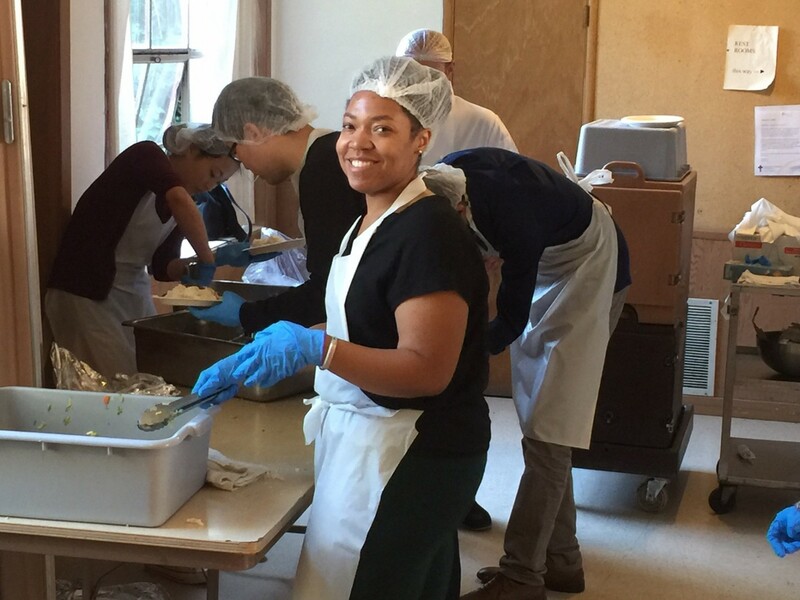 For volunteering opportunities contact our Volunteer Coordinator at (510) 601-26136 or volunteers@bfhp.org. Visit our Volunteers page. Check out the Get Involved section of our website for other ways to help, or call our Development Department at (510) 601-2613. Nearly 84% of your donation is for program costs. This includes providing shelter, meals and direct services to clients that get them back off the streets and into permanent housing. 8% is for fundraising, and 8% for administration. Please consult our Wish List to see what is needed and what we can accept. Contact the Development Department at (510) 601-2613. BFHP is a 510(c)(3) non-profit organization. Our tax ID number is 94-2979073, and you may request an acknowledgment letter when you make your donation. Visit our facebook and twitter pages and sign up at the bottom of this page to get on our email mailing list. Refer them to this website or download a copy of our brochure or latest newsletter here. In order to receive local services, those experiencing homelessness should be directed to to call 211. You can also print off the following documents that list homeless services and free meals in Berkeley.